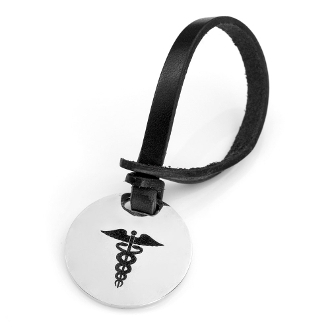 Engrave this stainless steel luggage, backpack, or bag tag with medical or emergency contact information on the back.] Leather strap has a 5 inch length when flat, but when wrapped around strap it becomes 2 inches. Weight: 0.45 oz. / 13 g.